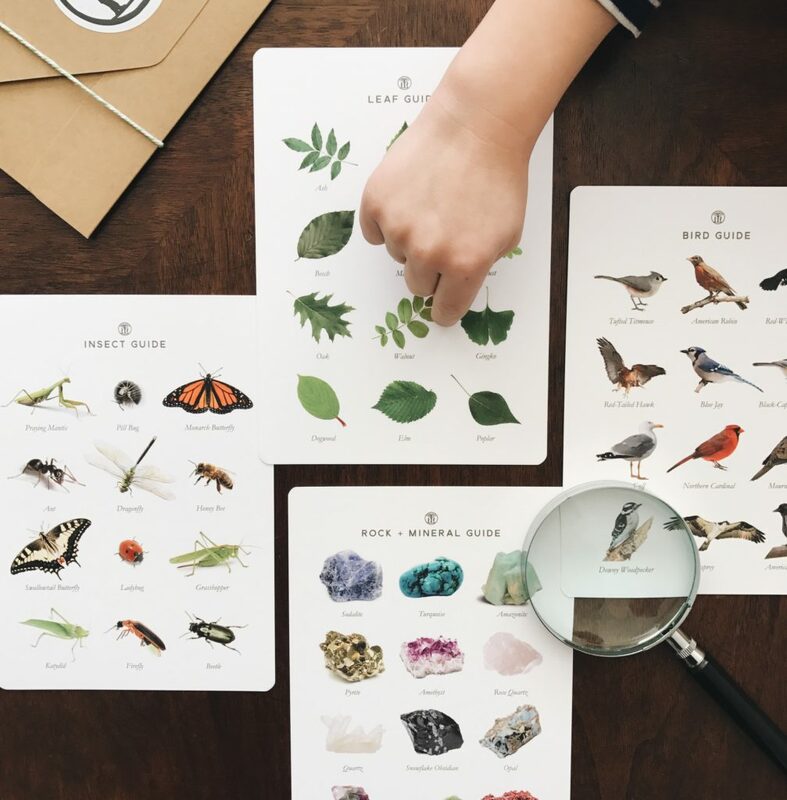 Originally published as a part of the first annual Alphabet Glue Summer Science Special, this project has gotten great feedback from families looking for some simple and science-centric summer fun. 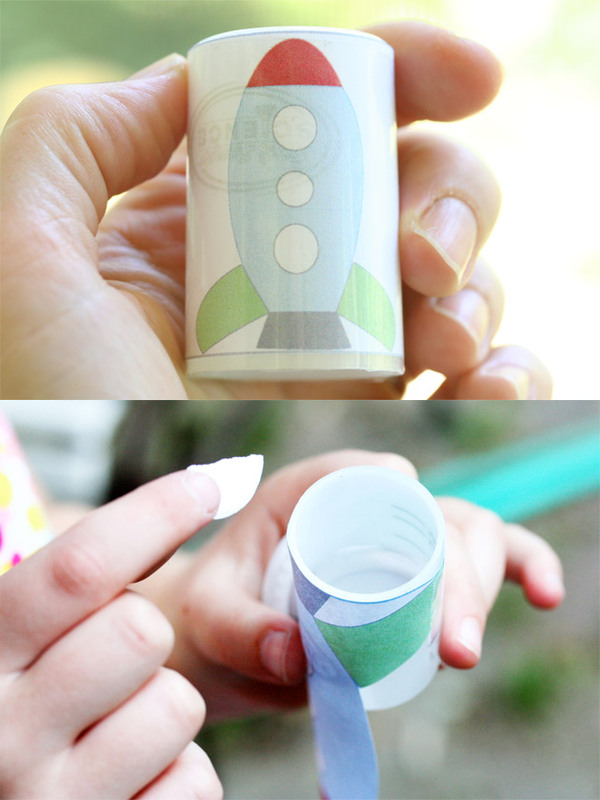 Alka-Seltzer rockets might very well be the classic science experiment. Incredibly easy to put together and launch, these diminutive rockets are good entertainment with tons of potential for the type of trial and error experimentation that makes an excellent first foray into the field of physics. 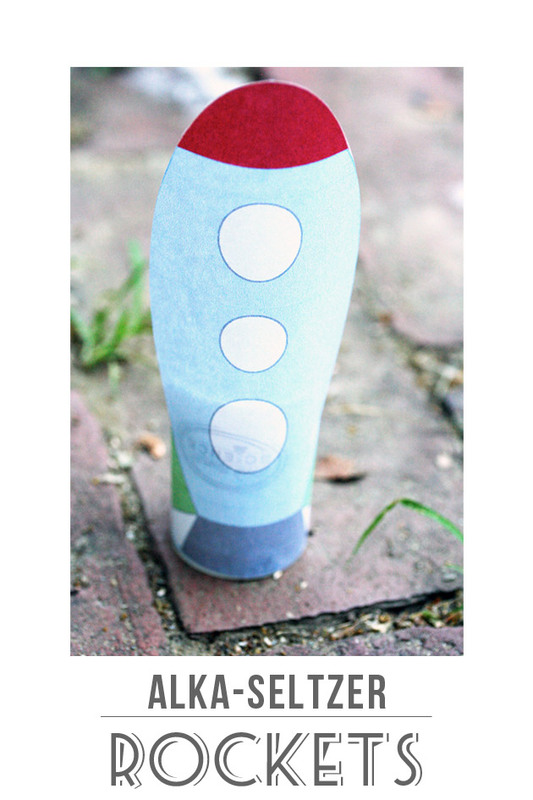 This link will take you to a downloadable PDF file with experiment instructions, printable templates for rocket decorations, and a leveled book list filled with great titles for reading up on all things rockets. In the era of digital everything, film canisters like the type used here are increasingly difficult to find. For this reason, science supply and teacher supply shops will often sell canisters just for this type of experiment. We got ours from Steve Spangler Science (www.stevespangler.com).